Social psychology explores some of the most important questions we face as people: how do we create and understand the social self? How does our 'social mind' influence the volition and content of thoughts and behaviour? How do we relate to other individuals and groups and the myriad forms and processes of social influence? In a jargon-free and accessible manner, Social Psychology: The Basics critically examines these fundamental principles of social psychology, and provides a thorough overview of this fascinating area. Discussing the theory and science behind our understanding of how people relate to others, this book explores how we understand ourselves and others, how we relate at an individual and group level, the key processes underpinning social influence and the ways the discipline has evolved (and continues to evolve). It also looks at how the application of social psychology makes important differences in the real world. 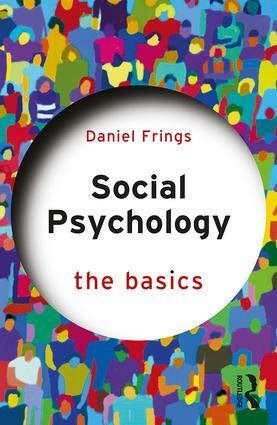 Highlighting key issues, controversies and applications, including case studies, questions, and biographies of important figures in the discipline, this is the essential introduction for students at undergraduate, A-level and high school levels who are approaching social psychology for the first time.